Who doesn't imagine leaving their corporate job behind and travelling to Bali and starting a jewellery business with a local designer? Seriously, the co-founders of BauXo did just that and once we got over our envy, we realized what a great collection they have and wanted to share. Combining a rugged yet refined aesthetic with silver, gold and leather this jewellery is distinct and natural and even affordable. 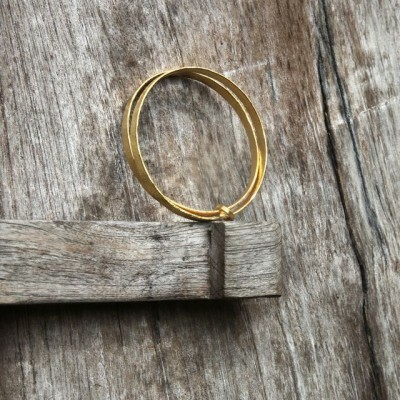 Our favourite piece is the Subject bracelet which is simply two hammered pieces of gold held together with a ring. Oh and in case you are wondering, your purchases contribute to fair wages and practices benefiting the Indonesian community. Check them out here.